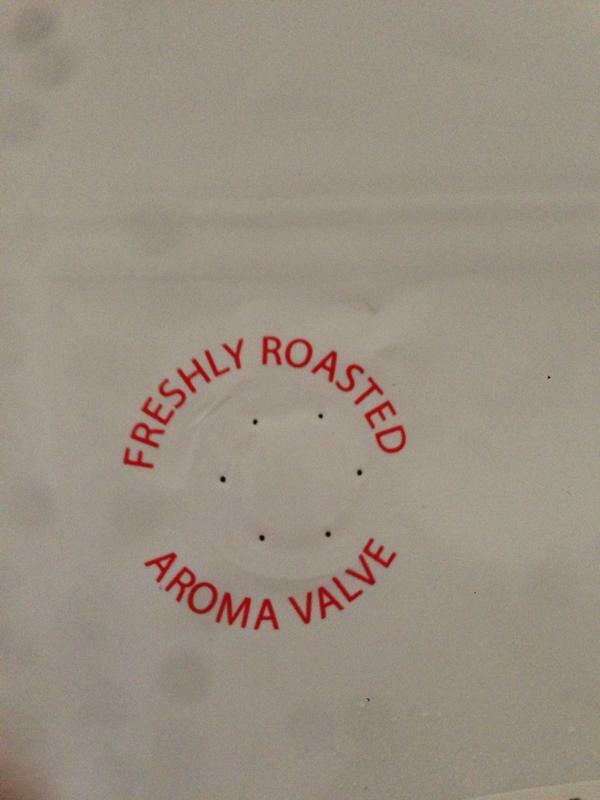 Air valves and metallised plastic are common packaging materials for freshly roasted coffee. Hopefully we’re all trying to reduce our environmental impact but there are things that we can’t seem to avoid. There is the saying “reduce-reuse-recycle”, but how do we do that with coffee bags? Can we reduce? How would we reuse? And recycling has, until now, seemed impossible. 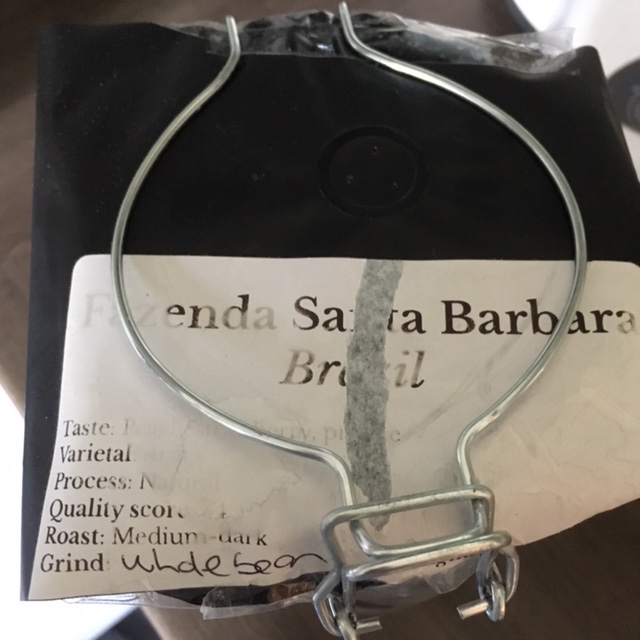 The problem is that in order to keep freshly roasted (and particularly freshly ground) coffee fresh, it is packed in metallised plastic bags normally with an air valve. Metallised plastic is not recyclable in the general waste stream and so the air valve, even if it is made of a technically recyclable plastic material, is unlikely to be practically recycled. There are questions as to whether it is necessary to package coffee in this way. A blind taste test by the Nottingham based coffee roaster Roasting House showed that, if your coffee was freshly roasted, a (recycled and recyclable) paper bag was a good option for packaging. Although the flavour profile was different for coffee stored in a bag with an air valve compared with the paper bag after 1 week of storage, the benefit to the taste did not seem to be worth the environmental cost if the coffee is delivered fresh to the customer (within 24 hours or so). However, perhaps the roaster that you buy coffee from prefers to use the traditional metallised bags with air valves. What can be done there? Fortunately, there has recently been some great news on this front. Has Bean coffee have teamed up with TerraCycle to offer recycling of Has Bean coffee bags. TerraCycle are a company that specialise in recycling (or reusing or up-cycling) hard to recycle materials, such as coffee bags and coffee capsules. TerraCycle takes materials such as coffee bags and either repurposes them (TerraCycle’s website mentions repurposing juice pouches by sewing them together to make rucksacks) or pelletising them to be made into other plastic products. 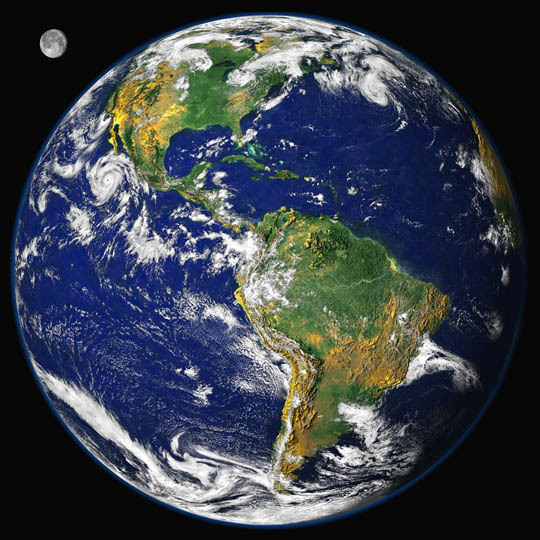 Our common home. Can we keep our coffee habit while keeping our home safe for future generations? Sadly (but understandably), to take advantage of Has Bean’s offer to recycle your coffee bags you have to be a Has Bean customer. However, all is not lost. If you are not a Has Bean customer you can purchase your own recycling box from TerraCycle for coffee bags (prices start from £73*) or coffee capsules (prices start from £72.36*). Perhaps it is something out of the range of the general consumer but it may be something that smallish coffee roasters with a network of cafés could consider stocking? Do you regularly buy your coffee from a cafe? Why not ask them if they will consider TerraCycle? If you drink coffee from larger companies such as, Tassimo, L’OR and Kenco, there are (free) collection points for their packaging nationwide. However, what if you don’t buy coffee from either Roasting House or Has Bean nor have easy access to a TerraCycle recycling box? There is one more option in the 3-r’s: re-use. To consider this question, I’ve been experimenting recently with a coffee bag with an air-valve (left over from Roasting House’s experiment that they were happy to send me, thanks Roasting House). Could the air valve be re-used as a valve for fermentation? Lacto-Fermentation has been in the news a lot recently for the health benefits that it may have. However it is also an interesting and easy way of preserving almost any vegetable. The idea is simple. Mix the vegetables to be preserved in some salt water, store them in a jar and leave them for a few days. That’s it. The salt kills the harmful bacteria while allowing the bacteria that is good for us, the lactobacillus, to thrive. These lactobacillus also produce lactic acid that preserves the vegetables for many weeks while giving them that slightly sour taste of sauerkraut and kimchi. Can you use coffee bag air valves as one-way lids for fermenting vegetables? 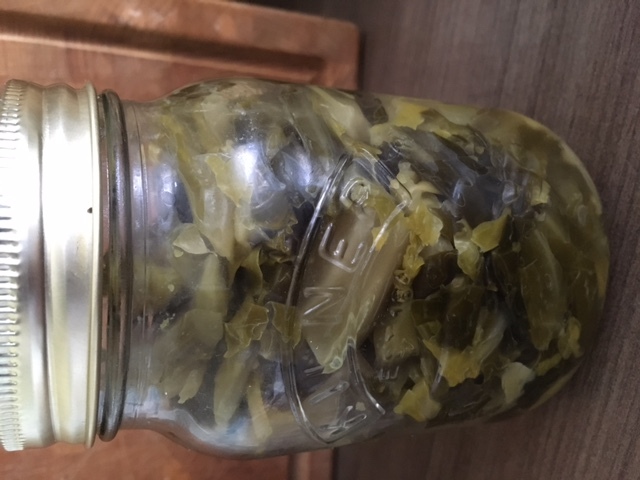 A problem with fermentation seems to be that if you tightly seal the vegetables in a jar, the build up of gas during the fermentation process could mean that the mix explodes. If you open the jar every day to let the gas escape, you may well end up with mouldy cabbage rather than delightfully acidic sauerkraut. This is where the coffee bag air valve comes in. Could you replace the lid with a coffee air-valve and so allow the gas to escape while not having to open the lid every day? Replacing the glass lid of a Kilner Jar with a lid made from a ring of cardboard (lined with the coffee packaging) and then the coffee bag with air valve seemed to work at first. As had been predicted, my first attempt at fermented spring greens (where I opened the lid each day) had resulted in mouldy cabbage. Successful fermentation came when the glass lid was replaced with the air-valve construction. Could there be a re-use for the air valve? Fermented spring greens. These vegetables have been fermented with salt. To check whether the valve worked as planned, I used it as a lid for a jar containing bicarbonate of soda and vinegar. As anyone who has played with these substances for making rockets or model volcanoes will know, combining these two substances produces a lot of gas. Again, nothing exploded. However, sadly (?) nothing exploded either when I sealed the air valve with sellotape and repeated the bicarbonate of soda/vinegar experiment. A quick inspection revealed air-gaps between the cardboard ring and the air valve lid and while these could be sealed quite easily, the air valve never seemed to be the primary outlet valve for this set-up. So, a failure? A null result? Perhaps, but perhaps not. The air valve structure did mean that I was confident that I didn’t have to open the lid on the fermenting cabbage and the cabbage did not turn mouldy before it fermented. Unfortunately, it is hard for me to eat enough fermented cabbage to justify having repeated this experiment enough times yet to be certain! So this is where you come in. Why not have a go at making your own sauerkraut, kimchi or indeed any pickled vegetable (apart from potatoes apparently). Re-use that air valve while reducing food waste. If you do so, please do let me know your design and how it worked (and of course any good fermented vegetable recipes). Alternatively, if you have found another use for those old air valves, or know another coffee roasting company that is recycling its packaging or making efforts to move to more sustainable packaging, please do let me know in the comment section below, on Twitter or on Facebook. Enjoy your coffee and your lactobacillus. *prices correct at time of writing (18th July 2017). Please check TerraCycle’s website for most recent prices. If you are outside the UK, the international website of TerraCycle can be found here. Another thought for recycling coffee bags: take them back. In the days when I used to buy loose coffee beans on a market stall, I’d just take the bags back and have them filled up again. Less useful if your retailer sells pre-filled bags of beans, but maybe they could re-use them. Of course, this is even less useful if you are ordering mail order, but what about keeping them and sending them back en mass every now and then? I can see this creating an administrative problem at the other end, but where there’s a will, surely there’s a way? Very good point. And perhaps if we did start to send the bags back to the roaster, they may quickly find a way to follow Has Bean’s lead!